SOLA is a web based research letter, which rapidly distribute scientific discoveries, new findings and advances of understanding in the atmospheric and related sciences especially in the interdisciplinary areas. The name of this research letter, SOLA, is taken from acronym of "Science Online Letters on the Atmosphere." 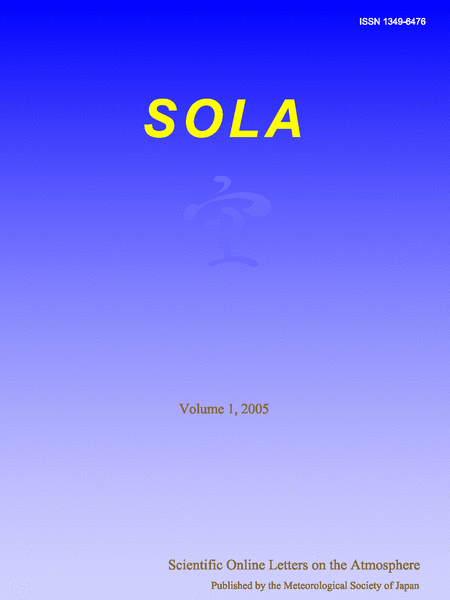 The pronunciation of "SOLA" sounds similar to "sora" of a Japanese language, which means the atmosphere.